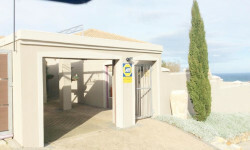 Just Property Hermanus: Think of walking into a home away from home, the office is based in the centre of Hermanus CBD in a renovated fishermans cottage with a #Yellowdoor. When you enter the office immediatly you are welcomed by a modern fresh space and a friendly receptionist who is alsways happy to help you with any query you may have. This office consist of an exceptionally close knit team who all work together to achieve the clients dreams. 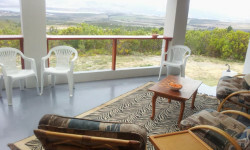 The Hermanus team know nothing else but exceptional client services and fantastic knowlege of the areas they work in. If you require information on zoing, best investment oppertunities or just looking for that perfect home they will assist you every step of the way. They have an excellent relationship with the Overstrand muncipality and the people in the community. The team work very closely with the bond orginiator and as a team they do whatever is needed to make Just Property Hermanus clients dreams come true. From Sales, Commercial, Rentals and Holiday Accomadation this team will work together to make your wish a reality. So take a turn past the #Yellowdoor on Royal Street and feel what it feels like to have doors opened for you. Where in the world can one wake up and watch a whale breach from your bed? Or be sitting at a restaurant about to devour a delicious breakfast or lunch when the whales begin to play and everyone drops their knives and forks with a yelp of glee and rushes over to the window to get a closer look? In Hermanus you may be in a meeting where the conference room overlooks the sea… the sights and sounds of Southern Right whales frolicking in the bay are simply part of the seascape during peak whale watching season in this delightful seaside resort. 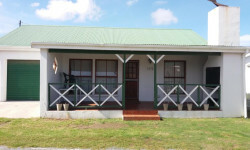 10 Royal Street, Hermanus, Western Cape, 7200.